Alison Dunne Interior Design, based in Co. Laois, can cover every aspect of designed and decorating your home. Whether your goal is to refresh an outdated room, create an entire new space, build an extension or a complete new build, our consulting service can provide you with the essential Interior Design and decorating requirements. I also provide an In-Home consultation service which helps you get started with your new project and avoid all those expensive mistakes. I provide all my Interior Design services to the following counties, Laois, Tipperary, Kilkenny, Carlow, Offaly, Kildare, Limerick, and Dublin. Alison lives on a farm with her husband Liam and 3 sons, Cathal (15), Cillian (12), Bill (5) and a bichon called Coco in Co. Laois. 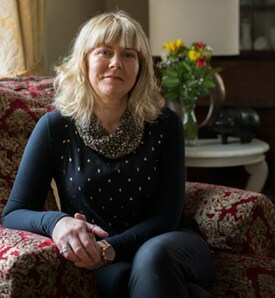 Alison has lectured at the Limperts Academy of Design, worked with Adult VEC Education, run her own private interior design courses and is presently a colour consultant with Fleetwood Paints. Working as an Interior Designer is an amazing opportunity, I get to help people identify their style, design spaces that reflect a sense of their personality and ultimately to be proud of their home.